The famed city of King Bhoja perhaps named Bhojpal after the king and the dam ("pal") constructed by him, slowly fell to obscurity, and by the early 18th century Bhopal was a small village in the local Gond kingdom. The present capital of Madhya Pradesh is not as famous as many other cities are – in 1969, a factory to produce pesticide Sevin, using methyl isocyanate (MIC) as an intermediate was started – and in hindsight this has caused untold woes and tribulations to thousands of poor Indian citizens. … … before we proceed, can you (or would you like) to recognize the actor or more the role performed in that film ‘A Prayer for Rain’. Tragedy struck 34 years ago - during the night of December 2–3, 1984: water entered Tank E610 containing 42 tons of MIC. The resulting exothermic reaction increased the temperature inside the tank to over200 °C (392 °F) and raised the pressure. About 30 metric tons of methyl isocyanate (MIC) escaped from the tank into the atmosphere in 45 to 60 minutes. The gases were blown by southeasterly winds over Bhopal – and that is the Bhopal disaster, a gas leak considered one of the world's worst industrial catastrophes. Estimates vary on the death toll. The official immediate death toll was 2,259 and the government of Madhya Pradesh confirmed a total of 3,787 deaths related to the gas release. A government affidavit in 2006 stated the leak caused 558,125 injuries including 38,478 temporary partial and approximately 3,900 severely and permanently disabling injuries. His death, which was not announced by his family, confirmed from public records – brought no tears miles away in India – for that ghastly incident. Anderson was born in New York in 1921, to Swedish immigrants who lived in the borough's Bay Ridge section. They named him for Warren G Harding, who was the president at the time. After graduating in 1942, he enlisted in the Navy and trained to be a fighter pilot, but never saw combat. After his discharge, he made the rounds of chemical companies and took the first job offered him - by Union Carbide. He climbed the corporate ladder rapidly and ruled over an empire with 700 plants in more than three dozen countries. Then came Bhopal. The night of Dec 2, 1984 would rankle as a black day in the annals of Indian history. Over 3000 died that night itself ; nearly 12000 died subsequently and thousands maimed due to diseases induced by methyl-isocyanate that tank 610 of Union Carbide spewed out some 27 tonnes of a poisonous asphyxiating gas from. The plant installed in 1969 was to produce a cheap pesticide ‘sevin’ which ironically killed human lives. More than 3 decades since that night of terror and death in Bhopal, which saw a cloud of deadly gases explode out of a faulty tank in a pesticide factory and silently spread into the homes of sleeping people – there are still people affected by the world’s worst industrial disaster ever. Many who breathed the highly toxic cocktail that night suffered a horrible death with multiple organ failure. Those who survived have suffered multiple diseases in the decades that were to come. Following the disaster, there was an international outcry for relief for the victims and punishment to those responsible for the gas leakage. The pesticide plant from where the gas leaked belonged to Union Carbide India, a subsidiary of the US-based Union Carbide Company. They were asked to pay compensation and arrange for medical treatment. The matter immediately got embroiled in legal controversies. Thus began a long and painful struggle of the victims for compensation, medical attention and rehabilitation that has spluttered along for a quarter century. In February 1989, the Supreme Court announced that it was approving a settlement for Bhopal victims under which Union Carbide agreed to pay measly Rs.713 crore for compensation to victims, while the government agreed to drop all criminal cases against it. However, due to intense public shock and anger at letting off the culprits, the court agreed to reopen the criminal cases in 1991. Two installments of compensation — of up to Rs 25,000 each — were given to the injured, one in 1994 and the next in 2004. Years later Union Carbide announced merger with US-based Dow Chemicals and Union Carbide refused to take responsibility for its liability. There was no redemption for Warren M. Anderson — accused no. 1 in the criminal case pertaining to the Bhopal gas tragedy — in life. Decades later in 2014, it seemed there was none in death. Hearing of his death, a full one month after he passed away at a nursing home in Vero Beach, Florida, on September 29, survivors of the Bhopal gas tragedy assembled outside the now-defunct Union Carbide factory and placed a large portrait of him. Then, one by one, they spat at the photograph. With his death, the struggle to get the former CEO of Union Carbide extradited hit a dead end. Anderson was the chief executive officer of the UCC, owner of Union Carbide India Ltd., which ran the plant. India Today, Indian Express, The Hindu and other mainline media reported that the accused was allowed to go out of the country by the then rulers, Congress Govt. 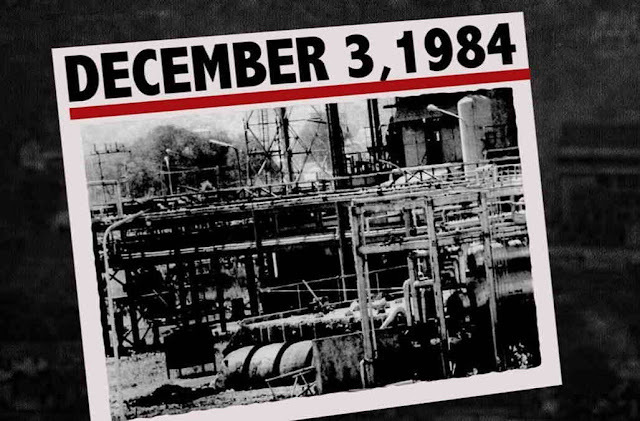 Four days after that deadly gas leak at Union Carbide's plant in Bhopal killed thousands in 1984, the company's chairman, Warren Anderson, was arrested on his arrival in the capital of Madhya Pradesh. But after being held under house arrest for only a few hours, Anderson posted bail and quickly left the country, never returning to face trial. Several reports have suggested that the government of PM Rajiv Gandhi was pressured by the US to let Anderson go. Senior Congress leader Arjun Singh, who was then the chief minister of MP, wrote in his autobiography A Grain of Sand in the Hourglass of Time that home secretary R.D. Pradhan called him "on the instructions of the then Union home minister P.V. Narasimha Rao". India today further reported that : within hours, he was granted bail and the same police force six hours later escorted Anderson out of the city in a blue government vehicle. Clearly, someone was working overtime to save Anderson. And not just in Bhopal, even in Delhi the former chairman of Union Carbide had a free run. The man responsible for the death of thousands was spotted in front of Parliament in the capital. As he sat on a white Ambassador car, there was no sign of any remorse or tension on his face. Anderson finally left Delhi on December 7 and never returned. All efforts to bring him back to face trial in the case since then failed ~ and he died. According to NY Times, his death passed almost unnoticed until an article appeared in Vero Beach 32963, the weekly newspaper of the Vero Beach barrier island. Web searches reveal that wayback in 1985, President Reagan commuted the sentences of 13 people who had been in prison for violations of Federal laws. One was a boyhood friend of Prime Minister of India, Adil Shahryar, who was serving 35 years for setting off a firebomb, fraud and other violations in Florida. Mr. Reagan signed the clemency papers June 11, the day Mr. Gandhi arrived in Washington for a visit with the President. Unlike other Presidential papers, grants of clemency are not routinely published by the White House and made available to the press, accounting for the action's lack of notice. The Shahryar commutation was reported in the Indian press and confirmed by the White House press office, which referred a caller to the Justice Department for comment. A department spokesman, Joseph Krovisky, said he could not go beyond the text of the official clemency grant, which stated that Mr. Shahryar, then in the Federal penitentiary in Leavenworth, Kan., would not have been eligible for parole until 1991. The victims sadly continued to see failures. The lawsuit said Dow Chemicals, which in 2001 bought over Union Carbide Corporation (UCC), should pay for the cleaning of the site and adjoining areas and for the damage to the health and property of the people still living around the factory. The case filed in 1999 —Bano v Union Carbide in district court of Manhattan, New York was dismissed in 2003 on the grounds of statute of limitation. Same tear Janki Bai Sahu v Union Carbide and Warren Anderson was filed in same district court by 17 survivors living near the defunct Union Carbide factory in Bhopal. Case sought damages, medical monitoring of patients affected by soil and drinking water contamination. In 2005, Manhattan district court gave a summary judgement in favour of UCC against which appeal was filed again. In June 2012, Court ruled in favour of the defendants, dismissing all claims of their liability and participation in the 1984 Bhopal gas leak; UCC, parent company of Union Carbide India Limited (UCIL) which operated the pesticide plant in Bhopal, filed an application demanding the dismissal of the suit. The order delivered by Keenan was the fourth dismissal of this case in 13 years. It was reported that Keenan in the written opinion stated that even when viewing the evidence in the most favourable light for the plaintiffs, UCC is not directly liable, nor liable as an agent of UCIL, nor liable under a veil-piercing analysis. UCC released a statement after this order which said that after the 1984 disaster, UCIL “obtained permission from the government to conduct clean-up work at the site.” Ten years later, Union Carbide sold its stake in the Indian unit, which later changed its name to Eveready Industries India Ltd. Union Carbide also claimed that in 1998 the state of Madhya Pradesh took over the responsibility for the site and remediation efforts. Thus ended the sordid saga of Bhopal tragedy. 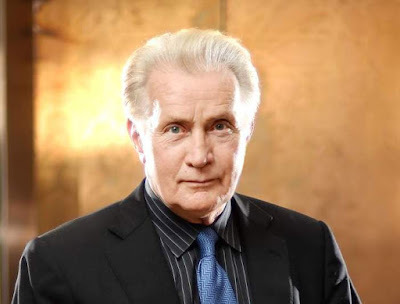 .. .. the man at the start is Martin Sheen playing the criminal Warren Anderson in the film - A Prayer for Rain, a 2014 historical drama film set amidst the Bhopal disaster. It was directed by Ravi Kumar and featured Martin Sheen, Mischa Barton, Kal Penn, Rajpal Yadav, Tannishtha Chatterjee, and Fagun Thakrar in important roles. The film made a market screening at the 2013 Cannes Film Festival. The film received mixed reviews from critics, who praised the actors' portrayal of their respective characters but found the film underwhelming. However those organisations fighting for the rights of the victims of the tragedy blamed the film for presenting the facts in a distorted manner. The Madhya Pradesh government exempted the film from paying tax. Homage to the victims of Bhopal tragedy and truth !